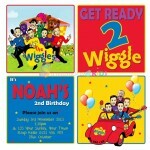 What colour is your child’s favourite Wiggle red, blue, yellow or purple? 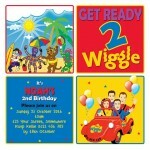 Little kids will love being part of the Wiggles band in these cool personalised Wiggles invitations. 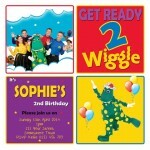 Make your child’s birthday special with these fun personalised invites. You can include your photo on any of the designs or it can be modified to be without. Rectangle invites are printed on 6×4 photo paper and prices include postage within Australia Via Australia Post. Square Invites are printed on 5×5 photo paper and prices include postage within Australia Via Australia Post.